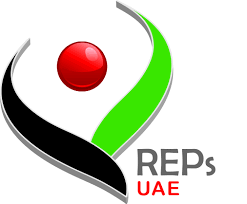 ICREPs is a membership-based organisation. Our full members all operate independent, competency-based registration systems for exercise/fitness professionals. ICREPs members operate in four continents, and ten countries, and collectively register almost 1/4 million individual exercise professionals. ICREPs has also produced a global matrix that maps each ICREPs member’s registration levels against the others, which provides a clear pathway for exercise professionals considering moving countries. For more information on how registers work, see our resources page on setting up a national register. 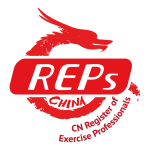 For more information on ICREPs members, please click on the logos on the bottom of this page. This will take you to the web site of the register that operates in that country/region, and will include information on how to register, as well as contact details of the registration body. Please note that ICREPs does not review courses directly, nor does it register individuals. If your country as an ICREPs member, please contact them directly for more information on how to get registered and/or how courses are recognised (this varies depending on eduction systems, laws and frameworks within each country). IMPORTANT: ICREPs is a membership-based organisations (meaning members must meet criteria and apply for membership to be part of ICREPs). All members are eligible to undertake mapping against other ICREPs countries, with the ultimate outcome of being part of the Global Portability Matrix, which assists exercise professional in understanding the requirements of each register as they relate to other ICREPs members. Not all ICREPs members have undertaken the mapping – please check our global portability matrix for details. For more details on what ICREPs does, or to enquire as to how ICREPs can support a country to develop its own registration system, please browse this web site, especially the resources page, or contact us.